Cheddar was the sandwich cheese of choice in our house and, although there was always a slab of Red Leicester in the fridge, I struggle to remember many meals in which it featured. One was in cheesy baked potatoes, which reminds me of bonfires and snowmen and kicking up piles of autumn leaves. It’s still one of my top comfort foods, although I tend to use Cheddar these days. 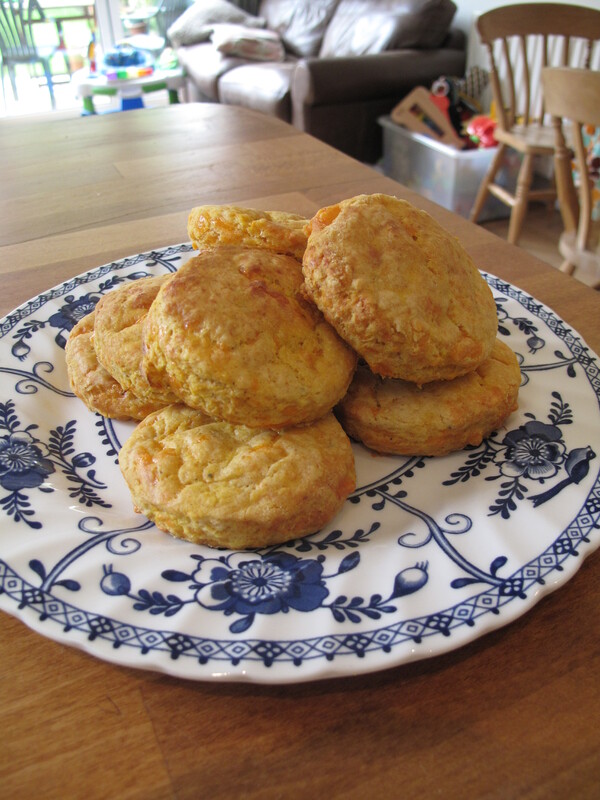 The only other Red Leicester recipe I can remember was my sister’s cheese scones and so scones it must be. I’m a big fan of sweet potatoes and if you put them in scones then it’s one of your five-a-day and the calories from the butter and cheese absolutely don’t count. This recipe will make about eight to ten scones. Delicious served with soup or just with butter and more cheese. The sweet potato will make them a little denser than your usual scone or perhaps that’s just my crap baking. 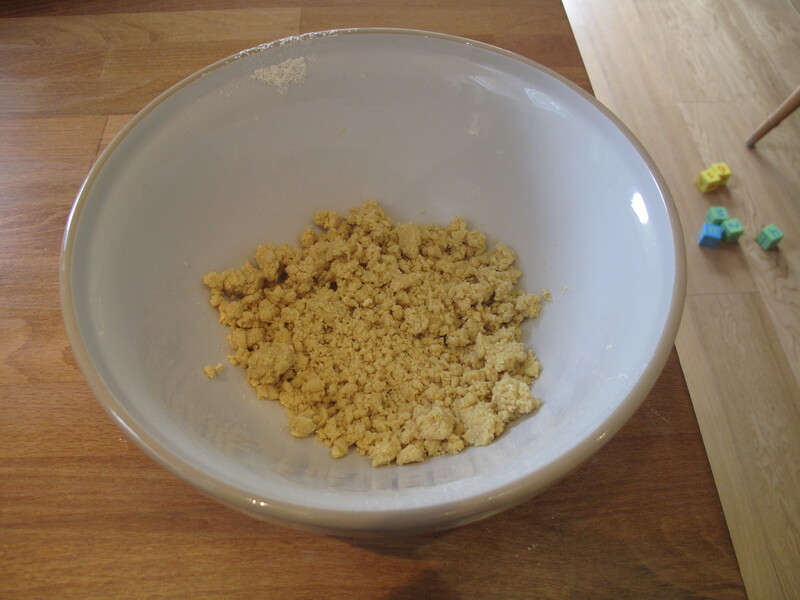 Sift together the flour, baking powder, mustard powder, chilli powder, salt and pepper. Rub the butter into the flour mixture until it looks like breadcrumbs. Mix in the sweet potatoes and cheese to make a soft dough. Turn the dough out onto a floured surface and roll out to 0.5 cm thickness. Cut into circles using a scone cutter. 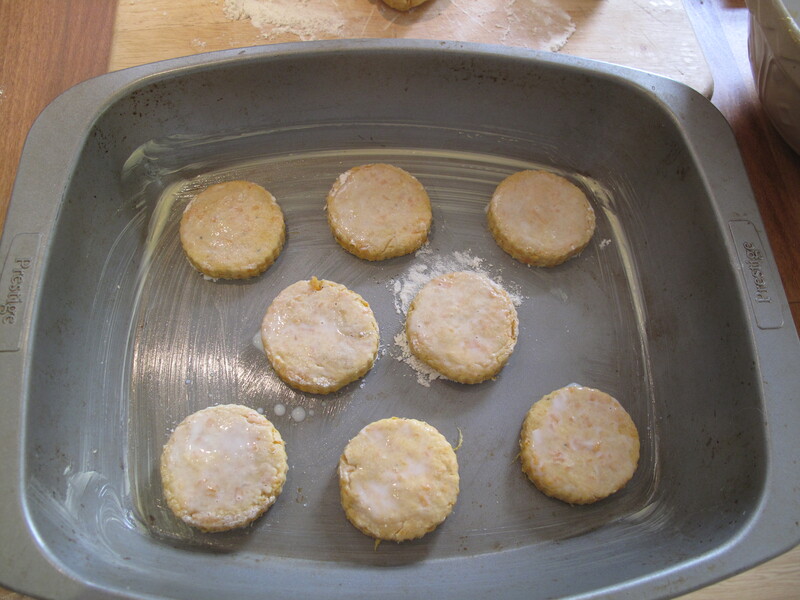 Place the scones 2.5cm apart onto a greased baking tray and brush the tops with milk or beaten egg. Bake for 12 to 15 minutes in the preheated oven, or until golden brown. I’ll admit, the Red Leicester I used was bog-standard supermarket fare and so was rubbery with a slight slimy sheen to it. I’m not sure it tasted of much. I’m sure these days someone must be making a nice farmhouse version somewhere. Are they? I’d like to find it. It would be nice to be on speaking terms with Red Leicester again after growing up together. Love your homage to fromage blog, one of the few I read regularly. Anyway, I love Red Leicester, the real deal variety which should be nutty and full of flavour. Farmhouse production died out by the mid-1990’s but the Leicestershire Handmade Cheese company revived it in 2005. You can buy Sparkenhoe as it’s called here: http://www.leicestershirecheese.co.uk.